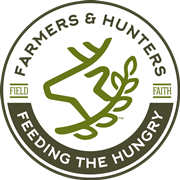 Legal, Privacy & Financial - Farmers and Hunters Feeding the Hungry - Hunt Down Hunger! This World Wide Web site with its home page in the domain "fhfh.org" (the "website") is a complimentary information service offered by the Farmers and Hunters Feeding the Hungry ("FHFH") at no charge to users of the World Wide Web, with the express condition that these users agree to be bound by the terms and conditions set forth in this User Agreement. FHFH reserves the right to change these terms and conditions any time, and you must consult the most recent version of this User Agreement (not an older cached version) each time you view the website. Use of this website constitutes your acceptance of all of the following terms and conditions. FHFH makes no warranties of any kind regarding this website, including but not limited to any warranty of accuracy, completeness, currency, reliability, merchantability or fitness for a particular purpose, or any warranty that these pages, or the server that makes them available, are free of viruses or other harmful elements, and such warranties are expressly disclaimed. You agree that you will hold harmless FHFH and its officers, directors, employees, and volunteers from all claims arising out of or related to your access or use of, or your inability to access or use, this website or the information contained in this website or other websites to which it is linked. This includes, but is not limited to, information or materials viewed or downloaded from this website or another website to which it is linked that appear to you or are construed by you to be obscene, offensive, defamatory, or that infringe upon your intellectual property rights. In no event will FHFH or the contributors of information to this website be liable to you or anyone else for any decision made or action taken by you in reliance on such information or for any consequential, special or similar damages, even if advised of the possibility of such damages. You acknowledge that the opinions and recommendations contained in this website are not necessarily those of the FHFH or endorsed by FHFH. FHFH may provide links on the website to other websites which are not under the control of FHFH. In general, any website which has an address (or URL) which does not contain "fhfh.org" is such a website. These links are provided for convenience of reference only and are not intended as an endorsement by FHFH of the organization or individual operating the website or a warranty of any type regarding the website or the information on the website. Unless otherwise indicated, all information contained on this website, such as text, graphics, logos, button icons, images, audio clips is copyrighted by and proprietary to Farmers and Hunters Feeding the Hungry, and may not be copied, reproduced, transmitted, displayed, performed, distributed, sublicensed, altered, stored for subsequent use or otherwise used in whole or in part in any manner without FHFH' prior written consent, except that the user may make such temporary copies in a single computer's RAM and hard drive cache as are necessary to browse the website, and the user may make one permanent printout of each page of the website to be used by the user for personal and noncommercial uses which do not harm the reputation of the FHFH. The marks above are trademarks of Farmer and Hunters Feeding the Hungry. FHFH is not responsible for the information or materials contained on the host website. Links to this website are provided for convenience of reference only and are not intended as an endorsement by FHFH of the organization or individual operating the host website or a warranty of any type regarding the host website or the information on the host website. We provide this notice explaining our online and offline information practices. Standard web server/visitor traffic information, commonly referred to as "aggregate information," regarding overall website traffic patterns. We do not report on individual user sessions. Normally, web servers collect this type of basic information as part of their web log processes. First and last name, street address, city, state, zip code, telephone number, email address, and subject of inquiry (i.e. volunteering or information requests). Occasionally, FHFH may contact individuals who have provided their individually identifiable information through the website in order to conduct surveys seeking feedback. These surveys are used for quality assurance purposes, and to improve our level of service. A user's personal information is private and confidential. FHFH will not trade, share or sell a user's personal information with anyone else, nor send mailings on behalf of other organizations. a) Contacting the FHFH national office at 1-301-739-3000.
b) E-mailing FHFH at staff@fhfh.org. FHFH has links to other websites that are not under its control, and FHFH is not responsible for the contents of any linked website, or any link contained in a linked website, or any changes or updates to such websites. The inclusion of any link does not imply endorsement by FHFH of that website. This privacy statement applies only to the FHFH website. Please be aware that FHFH is not responsible for the privacy practices of such other websites. We encourage you to read the privacy statements of each and every website that requests personal information from you. The Independent Charities Seal of Excellence is awarded to members of Independent Charities of America and Local Independent Charities of America that have, upon rigorous independent review, been able to certify, document, and demonstrate on an annual basis that they meet the highest standards of public accountability, program effectiveness, and cost effectiveness. These standards include those required by the U.S. Government for inclusion in the Combined Federal Campaign, probably the most exclusive fund drive in the world. Farmers and Hunters Feeding the Hungry has earned the Platinum GuideStar Nonprofit Profile Seal of Transparency, the highest level of recognition offered by GuideStar, the world’s largest source of nonprofit information. By sharing metrics that highlight progress FHFH is making toward its mission, the organization is helping donors move beyond simplistic ways of nonprofit evaluation such as overhead ratios.